The changing of the seasons can be a beautiful thing, but the effects that it may have on your health…not so beautiful. With autumn’s cooler temperatures, it’s important to be mindful of more than just your wardrobe. 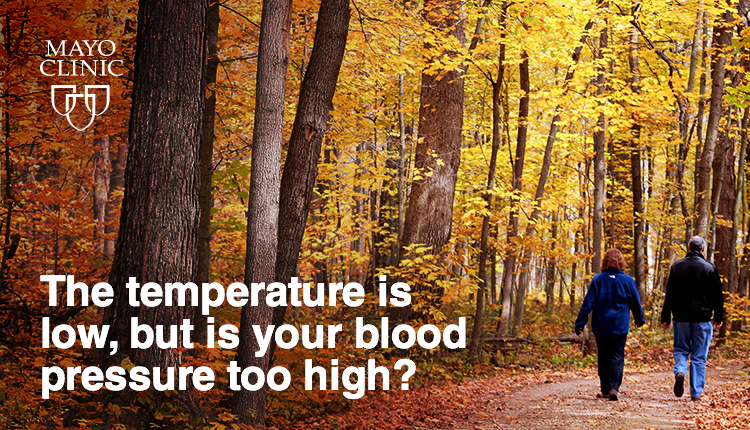 Sudden weather changes and cooler temperatures can cause your blood vessels to narrow and raise your blood pressure. Especially if you already have high blood pressure, be mindful of treatment options; the temperature doesn’t have to be the only thing getting lower! The changing of the seasons can be a beautiful thing, but the effects that it may have on your health…not so beautiful.